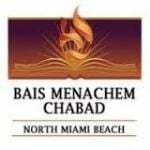 Bais Menachem North Miami Beach is part of a vibrant, observant community in South Florida where thousands of families attend the various Shuls in our neighborhood. Construction on our new building is ongoing. Upon completion, it will allow our current membership (over 150 families) room to grow and thrive as we continue to promote Torah study and a Heimish environment for our community. Rabbi Yosef Marlow grew up in the Crown Heights section of Brooklyn, New York. He was raised in the household of his distinguished father of blessed memory, HaRav HaGaon Rabbi Yehudah Marlow – the famed and venerated Rav of the Crown Heights Beis Din who elicited extraordinary praise from the Lubavitcher Rebbe. In this auspicious setting, the seeds for Rabbi Marlow’s future career as a charismatic leader of his own community were sown. After graduating from the local Crown Heights institutions, Rabbi Marlow took his studies further afield, first to California and then overseas, to London, England. He returned to the Lubavitch World Headquarters in order to receive his Rabbinical Ordination. Rabbi Marlow spent a number of years engaged in teaching positions. He began with a Yeshivah high school in his native community, before relocating to Miami, Florida in 1994 to share his remarkable knowledge with the students of Klurman Mesivta High School and Hillel Community School. Rabbi Marlow simultaneously launched his career as a community rabbi by assuming leadership of the nascent Bais Menachem synagogue in North Miami Beach. At the time, the Lubavitch community consisted of a cozy collection of ten to fifteen families. Under Rabbi Marlow’s directorship, charisma and inspiration, the community enjoyed rapid growth and swelled to the over one hundred and fifty families that presently call Bais Menachem their spiritual home. In addition to his duties as a rabbi, delivering series of classes, and guiding his own community, Rabbi Marlow is sought regularly from far beyond his community’s borders for his extensive Halachic wisdom. To this end, and to meet the demands of an ever-burgeoning community, Rabbi Marlow recently traveled to Jerusalem to receive advanced rabbinical ordination as a Dayan. Rabbi Marlow is currently overseeing the construction of a vastly expanded synagogue and communal center for his North Miami Beach community.